Trust me on this: Given that I live in the heart of Trump Country, my list of friends and acquaintances is full of Trumpkins. I don’t begrudge them for their political loyalty. I also hope they don’t begrudge me for mine. 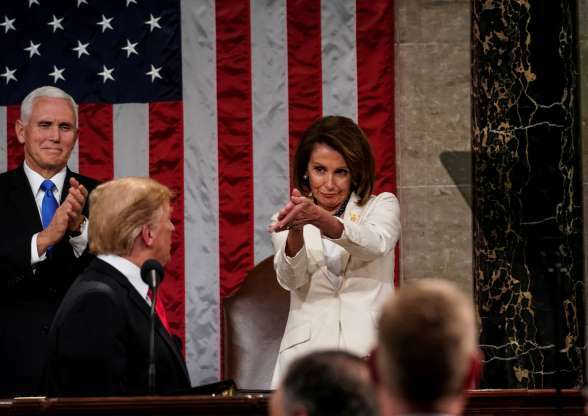 One friend — and he’s an actual “friend” — has been ranting on social media about how the Democrats sat on their hands during Trump’s State of the Union speech Tuesday night. He is just insulted that they would disrespect the president in such a disgraceful manner. How dare they do such a thing! My friend has been around long enough to know how this game is played. Republican presidents usually get the proverbial stiff-arm from Democrats in the House of Representatives hall. Here’s the deal, though: Democratic presidents get the same treatment from Republicans when it’s their opportunity to deliver State of the Union speeches. It goes with the territory, folks. I don’t like it, either. I would rather the “loyal opposition” would show respect for the presidency, even if they dislike the individual who is occupying the office in the moment. I need not remind my friend, moreover, about how Republicans treated President Barack H. Obama when he delivered his speeches to Congress. However, if he is reading this blog post, I’ll remind him of how GOP U.S. Rep. Joe Wilson shouted “You lie!” during one of Obama’s speeches before a joint congressional session. By my reckoning, that outburst was far more disrespectful than anything we saw this week. I’m not worried in the least about how Democrats behaved while the Republican president stood before them. They did what members of the “opposing” party always do. Do I wish they would behave better? Sure. I also wish the same of Republicans the next time we elect a Democratic president. I knew I wasn’t the only one who had this thought, but it still makes me chuckle when I watch news reports of Donald Trump’s televised remarks upon his return home from his 12-day trip to Asia. 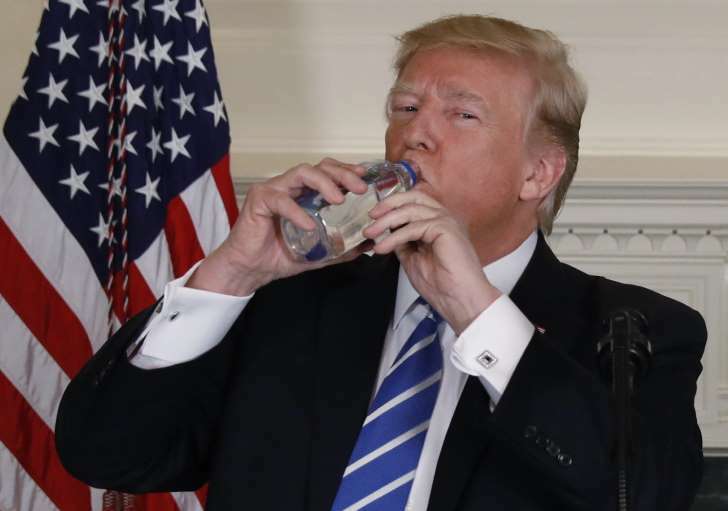 The president had, um, an awkward water moment. He reached for some water to battle a case of dry mouth while talking earlier today. The bottle wasn’t there. He groped under his podium for some water and was informed there was a bottle of Fiji water nearby. He fumbled around for a moment longer, took a swig of it and went on with his remarks. Now, you’re possibly asking: Why bring this up? Oh, I don’t know. I guess it’s because candidate Donald Trump made such a show of a similarly awkward moment that befell Republican presidential primary opponent U.S. Sen. Marco Rubio, who in 2013 fumbled for a water bottle while delivering his party’s response to President Obama’s State of the Union speech. For his part, Rubio had a clever and self-deprecating response, which he delivered via Twitter: Similar, but needs work on his form. Has to be done in one single motion & eyes should never leave the camera. But not bad for his 1st time. Take notes, Mr. President. There might be someone out there who’ll use that moment against you. I stand before you in defense of Teleprompters. They are a commonly used device. Politicians use them all the time. They’ve been in use for decades. Speechwriters prepare the text that pols deliver and put them on these devices. Then the pol reads the remarks from a screen at eye level, which is meant to give the audience the illusion of extemporaneous speech. Donald J. Trump is going to read a speech tonight. He’ll talk about his strategy in Afghanistan and perhaps reveal how he intends to fight the 16-year-long Afghan War. I’ve heard the president’s critics say all day about how he’s going to read a speech written by someone else. These critics intend to diminish the words the president will say. Every single president dating back to, oh, Dwight Eisenhower have read speeches from Teleprompters; Ike was the first president to use the device to deliver a State of the Union speech. Some are more graceful using the device than others. Donald Trump clearly needs practice using the Teleprompter. When you watch him stand in front of the Teleprompter, you end up anticipating when he’s going to launch into one of those nonsensical, unscripted riffs. His reading of the text often sounds painful; some folks have described his Teleprompter performances as sounding as if he is being held hostage. 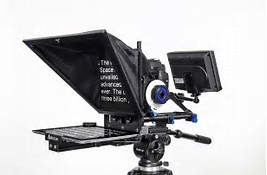 So, let’s stop obsessing over whether the president uses a Teleprompter. Of course he does! As he should. I’ve said it more times than I can remember, which is that I’m wrong far more frequently than I am right. My political prognostication skill has been exposed for what it is: shaky . . . at best. Thus, I am prepared to acknowledge how wrong I’ve been about the current campaign for the presidency. My wrongness tracks along both parties’ trails. Donald J. Trump’s candidacy has withstood the candidate’s own serious shortcomings as a presidential aspirant, let alone his actual ability to govern. Never in a zillion years did I think he’d still be in this campaign — let alone leading the GOP gaggle of candidates — after the countless insults he has hurled along the way. Sen. John McCain’s valor during the Vietnam War doesn’t make him a hero? The ridiculous back/forth with broadcast journalist Megyn Kelly during the first presidential debate? His assertion that he’ll build a wall along our southern border and force Mexico to pay for it? His revealing Sen. Lindsey Graham’s cell phone number? His proposal to ban all Muslims from entering the United States? His assertion that he witnessed “thousands of Muslims cheering” the collapse of the World Trade Center on 9/11? OK, I’ve left some of ’em out. Despite all that, this guy continues to lead the pack. Anger among GOP voters? That’s what is moving this man forward? If that is the case, then the Republican Party “base” is lost its sanity. 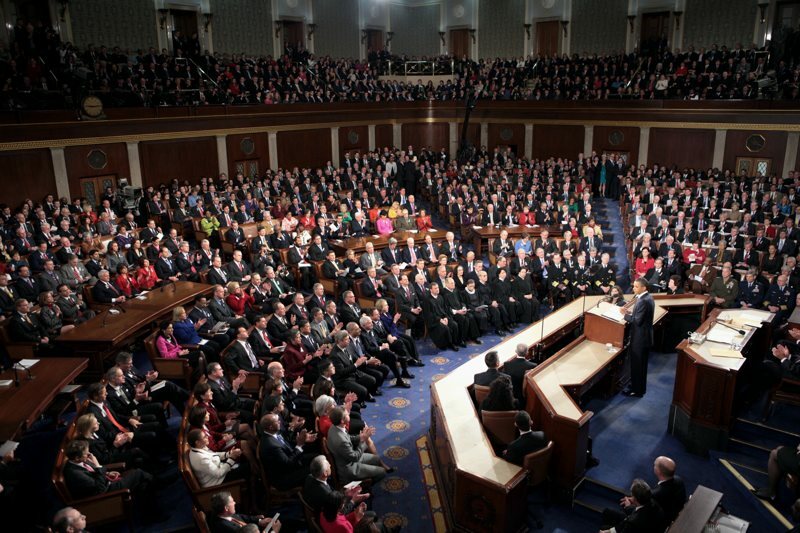 During President Obama’s State of the Union speech, I tried to imagine Donald Trump standing at that lectern offering high-minded, soaring rhetoric designed to lay the groundwork for how he intends to govern. Imagine him as well standing on the steps of the U.S. Capitol next January offering his inaugural speech to the nation as its 45th president. All I hear coming from this guy are blustering, blistering insults. Is that really what we want in the next president of the United States? Our head of state? Our commander in chief? I once thought Hillary Rodham Clinton’s nomination was a shoo-in. She had it locked up. Nothing, or no one, would derail the Hillary Express on its way to the nomination and to the White House. Then came Bernie Sanders, the democratic socialist with a campaign theme that has resonated with his party’s base. Break up the big banks, de-fang the Wall Street power brokers, spread the wealth around, lift up everyone’s wages and reduce the income gap between the very rich and the rest of the country. Republicans have made a lot of hay over Benghazi, which has become a form of political shorthand that means: Clinton lied about what she knew about the attack on the U.S. consulate in that Libyan city. There’s a congressional select committee that’s still looking for something to torpedo Clinton’s presidential campaign. Meanwhile, Sanders — the independent U.S. senator from Vermont — is drawing huge, enthusiastic crowds. He’s ahead by a good bit in New Hampshire, the site of the nation’s first primary vote and is now virtually tied with Clinton in Iowa, which is about to kick off the voting with its caucuses. 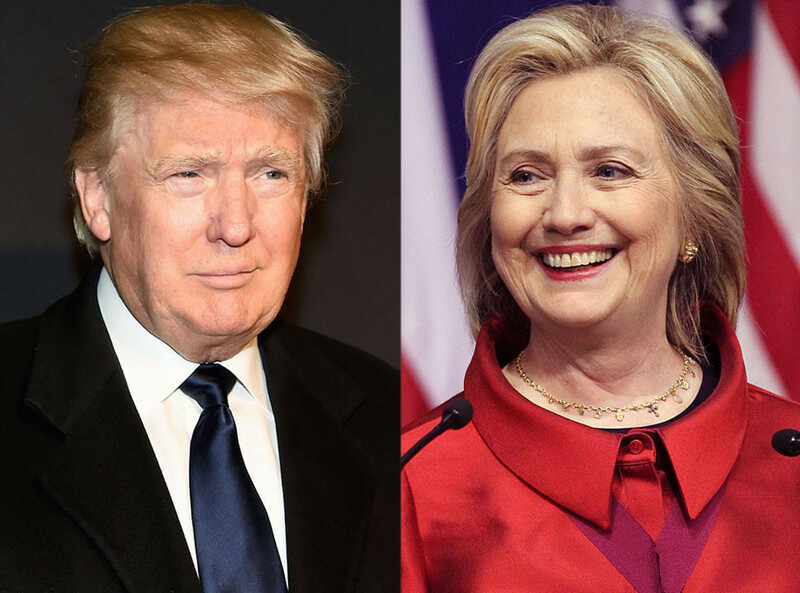 Do I believe Hillary Clinton will be denied the nomination? No. But it sure ain’t the coronation I thought it would be when this campaign began. Let me add, too, that I do not believe Donald Trump will be the Republican nominee. I have some faith — although it’s been hammered — that the Republican Party brass comprises reasonable, intelligent and sane men and women who understand the consequences of nominating someone whose main skill lies in his ability to insult anyone who disagrees with him. I don’t like acknowledging how wrong I have been. Still, I feel better now for saying so out loud. This won’t be a thorough point-by-point critique of President Obama’s final State of the Union speech, but I want to offer a few observations of what I believe to be the high points . . . and a particular low point of his speech. Generally, I believe he hit the right tone and sent the correct message on a number of points. Our political system needs an overhaul. The president sought to quell the “toxic” atmosphere that lingers over Capitol Hill and along the presidential campaign trail. He acknowledges that a State of the Union during a presidential election year is going to run headlong into partisan divisions. But it need not result in turning adversaries into enemies, he said. This toxicity isn’t new. It’s shown itself at times during the entire existence of the Republic. Its victims have been politicians of both political parties — and more than that if you want to count the Whigs, which morphed into today’s Republican Party. But just because we’ve had this kind of loathing of individuals with whom we differ for as long as any of us can remember doesn’t negate the need to change it. Obama is right, however, to lay the bulk of the responsibility for that change on us out here in Voter Land. The politicians do our bidding. If we demand a change, then they’ll have to heed us. The economy has turned around. He hit on something most of us knew he would say. The nation’s economic standing is far better now than it was when Barack H. Obama took office. We’ve cut joblessness in half; reduced the annual budget deficit by 75 percent; our auto industry is setting records; our banks and other financial institutions are healthy again. Does the president deserve all the credit? No. It did happen on his watch. We remain the world’s indispensable nation. The presidential candidates have been making hay on the stump about the United States’ lack of “greatness.” They contend we are weak, that we cower in the face of danger. Why is that so, if we’re such a basket case? We’re continuing to fight the war on terror aggressively. The president told us of how more than 10,000 air strikes have killed Islamic State leaders and fighters, disrupted command and control operations, obliterated ISIL’s oil supplies — and is doing so with the help of 60 nations allied behind our effort to destroy these terror networks. No one should be naïve to think this concentrated air campaign against ISIL, al-Qaeda or al-Shabaab is going to go smoothly all the time. Wars never do. As for the nature of this war . . . It is a world war, Mr. President. Obama sought to downgrade this conflict into something less than a global conflict. He is mistaken. I believe it is a world war, but not in the historical sense of the term. Barack Obama didn’t likely change many minds last night. His approval ratings might tick up just a bit, but then they’ll settle back down to where they have stood for years. His foes will be sure to keep beating the drums of pessimism and gloom. Me? I’m as concerned as the next guy about the future. Then again, I’ve lived long enough and seen enough political turmoil — and warfare — to understand that we are truly are an exceptional nation. It never really had to be this way. Barack H. Obama took office in January 2009 as the 44th president of the United States after an election that many had hoped would be a “transformational” political event for a country that had just elected its first African-American president. Not long afterward, then-Senate Minority Leader Mitch McConnell announced that his top priority would be to make Obama a one-term president. Yes, that’s right. McConnell said that defeating the president’s re-election effort would be his No. 1 priority. That set the tone — right off the top — for the kind of relationship that the White House would have with Congress. It hasn’t gotten any better, even as President Obama prepares to deliver his final State of the Union speech to a joint congressional session. To be blunt, the president didn’t do his part to develop a good working relationship with Congress. I’ve lamented before how the young president never learned how to build upon those relations with his congressional friends. To be honest, the president arguably served too little time in the Senate to have crafted a lot of friendships and political alliances among his fellow legislators. I had hoped the president could have followed the Lyndon Johnson model of transferring his Senate experience into effective legislative accomplishment. However, Congress made it clear that it had no intention of giving any quarter to the president. So, the president’s final State of the Union speech — which the White House says will be an “unconventional” presentation — isn’t expected to produce any bright lights of hope for a smooth and successful final year of the Obama presidency. Republicans almost unanimously say that next to nothing will get done in this final full year of Barack Obama’s administration. Perhaps, then, it will be left to the president simply to declare victory on the accomplishments that his presidency has delivered. I’m wondering now if the president is going to remind us that Sen. McConnell’s top priority never came to pass. 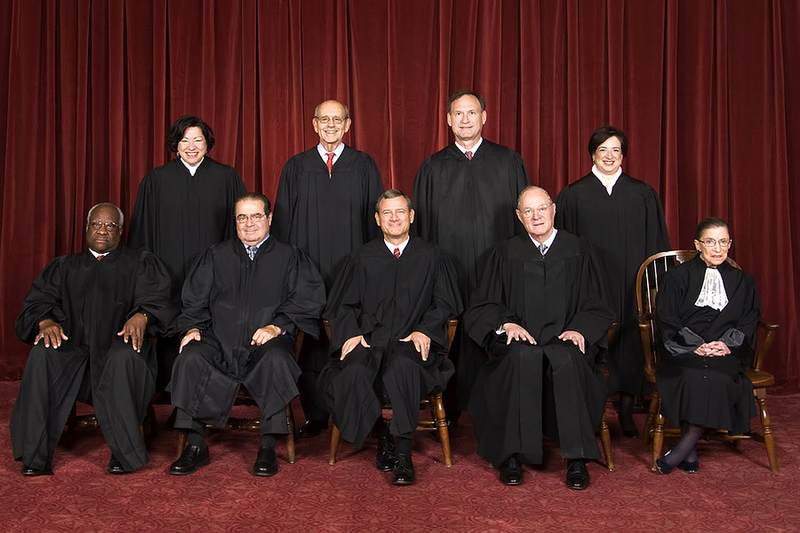 Will these justices stay away from SOTU? Do you ever hear something from someone and think, “Damn! I wish I’d have thought of that”? One of my Facebook pals wondered out loud if the only mystery surrounding President Obama’s upcoming State of the Union speech would be whether the three most conservative members of the Supreme Court would stay away, as they have done in recent years. Justices Clarence Thomas, Samuel Alito and Antonin Scalia all have been absent during Obama’s recent speeches before a joint session of Congress. I’ve long wondered — as have others –whether it is because they detest the president’s politics so much that they’d rather do something else than sit in front of him while he makes policy statement with which they disagree? 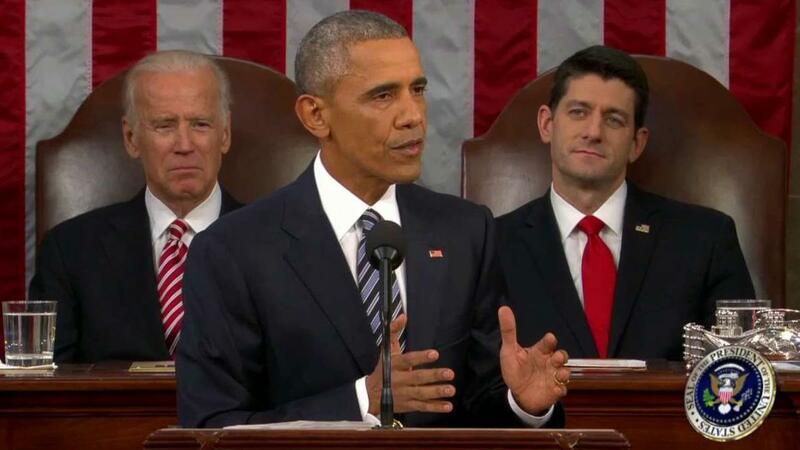 Look, gentlemen, this is the last one of these speeches Barack Obama will give as president of the United States. Surely you can find the time — not to mention the courtesy — to attend this speech along with the rest of your colleagues. Chief Justice John Roberts usually attends, and he’s in the conservative camp right along with the three no-show justices. It might have been a single event that ticked them off. That would be the time that Obama scolded the court for its Citizens United ruling that took the limits off of corporations and enabled them to give unlimited amounts of money to political candidates. Justice Alito was seen mouthing the words “not true” when the president made his critical comments. That was then. If the scolding is the reason, well, get over it, will you? The president is entering his final full year in office. The Joint Chiefs of Staff will be there. Most of the Cabinet will be there; custom calls for one of them to stay away in case something catastrophic happens at the nation’s Capitol Building. I hope all nine justices see fit to make an appearance. They don’t have to applaud. Just be there. President Barack Obama has chided the Supreme Court over its decision to hear a case involving the Affordable Care Act. Some critics, of course, suggest the criticism is out of bounds, that the president is trying to “bully” the nine justices who could strike down a key provision in the ACA. Bully those men and women? I don’t think so. Obama says the court was wrong to take up a case in the first place. The case, to be ruled on perhaps in just a matter of days, involves the legality of the federal subsidies used to help pay for Americans’ health care. An estimated 6.4 million Americans’ health insurance policies are at risk if the court strikes down the subsidy. Now the president has declared the ACA to be a “reality,” it is law and it is part of the American fabric of providing health insurance to those who need it. Is he right to challenge the court? Of course he is. Where the president misfired, in my view, in his criticism of the Supreme Court was when he did so during his 2010 State of the Union speech. With several court members sitting in front of him, surrounded by other administration and military officials, not to mention a packed chamber full of lawmakers, the president said the court was wrong in its Citizens United ruling that took the shackles off of campaign contributors. Whatever criticism the court deserved, that was neither the time or the place to deliver it. So, the fight goes on between Barack Obama the nine men and women who hold the fate of his signature domestic policy achievement in their hands. Former Vice President Walter Mondale once asked famously of then-Sen. Gary Hart: Where’s the beef? He sought to smoke out Hart’s position on the issues that were driving the 1984 Democratic Party primary presidential campaign. These days, though, the former senator is giving us plenty to chew on as he warns of the influence of big money — as in really big money — on the upcoming 2016 campaign for president. Hart’s target? Former Sen. and Secretary of State Hillary Rodham Clinton, who figures to raise as much as a billion bucks to run for president. Hart doesn’t like that kind of influence. While he expresses admiration and respect for Clinton, he sounds like he’s leaning toward a possible alternative candidate for president — say, Elizabeth Warren or Martin O’Malley. That was the infamous Supreme Court decision that ruled in 2010 that campaign contributors cannot be limited in the amount of money they give. Why, it’s a free speech issue, the court ruled. President Obama then stood in the lectern at a State of the Union speech and scolded the justices as they sat right in front of him for their decision. Although the setting was inappropriate for such a tongue-lashing, the guts of what the president said hold up today: It is that money wields too much influence in the modern political process. Those who suggest that enabling corporations to give mountains of money to candidates is simply allowing “free speech” do not seem to grasp that some speech is heard more clearly than others. Politicians are going to listen to those who can give huge sums of money more than they’ll listen to you and me. Is their voice more important than ours? That’s the kind of influence Sen. Hart is warning us about. Gary Hart has found the beef.